✔ MAGNETIC - Drawing pad Integrated Soft magnets allow for easy mounting to a refrigerator, and other compatible surfaces are Iron. 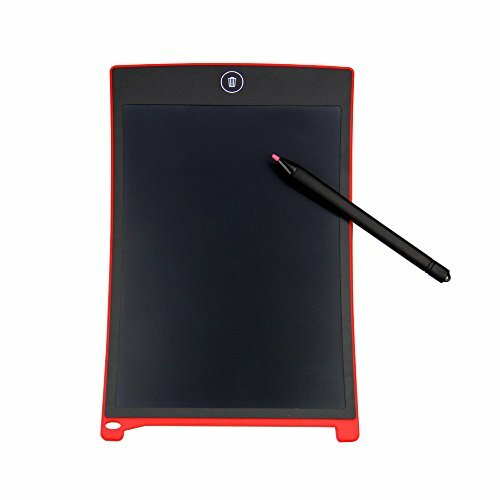 ✔ DURABLE - The Writing tablet made from Eco ABS plastic, Built-in Replaceable Button cell, 2 Years Battery Lifetime. ✔ PRESSURE SENSITIVE - High-Tech LCD writing surface enables different line thicknesses based on the pressure press.Writing or drawing efficiency, NO Delay. ✔ EASY DRAWING: Write or Draw just like using a pen and paper, Erase images and words by on button Simply and conveniently. More than 50,000 times reuse. ✔ PORTABLE: The digital pad ultra slim and Lightweight, Easy to carry into your briefcase, daypack, backpack or others storage case. For School, at the office, House or in the car. If you have any questions about this product by TRITINA, contact us by completing and submitting the form below. If you are looking for a specif part number, please include it with your message.